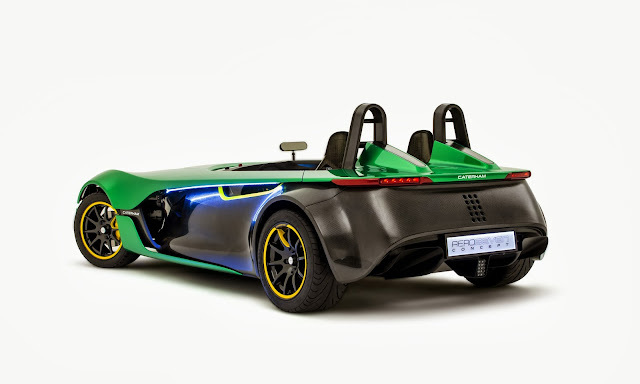 This is the new Caterham AeroSeven Concept. Why AeroSeven? Well, under the skin it's a Caterham Seven CSR, which the company has been making in one form or other since 1973, with a carbon fibre, aerodynamic skin. The Caterham road car business used to be tiny, and then Tony Fernandes bought it in a fit of pique after his falling out with Lotus. Fernandes has made a fortune from Air Asia. He set up an F1 team and called it Lotus. Several legal wrangles later and Fernandes dumped the Lotus name, bought Caterham cars and renamed the F1 team Caterham. 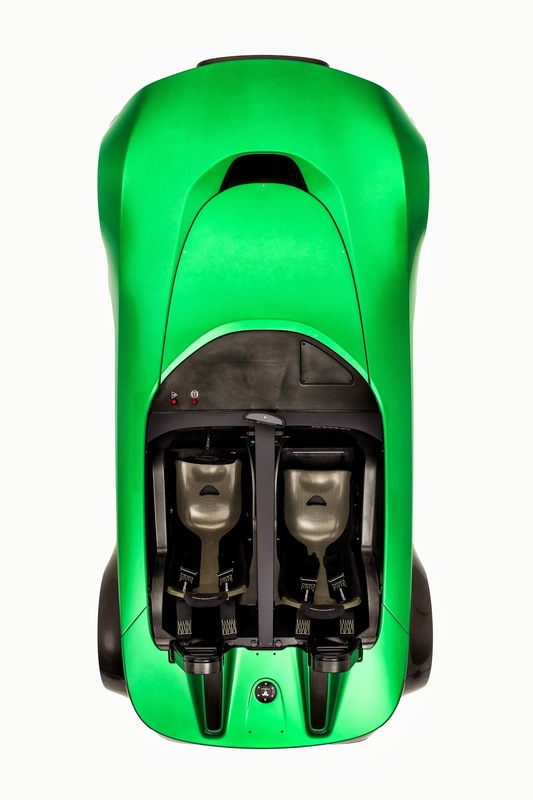 Which is great news for the formerly tiny Caterham cars. For years their only product was the Seven, which was basically the same car as the Series 3 Lotus Seven (and similar to most Westfields). 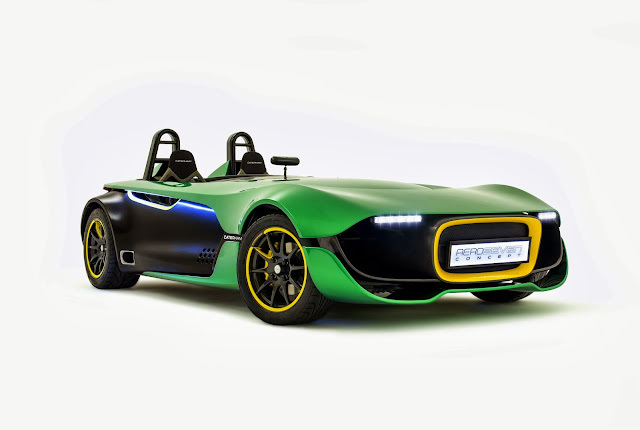 But now Caterham have cash to invest in new models, and this is the first real departure away from the basic Seven. The engine is a 2 litre naturally aspirated Ford Duratec unit with 236 bhp at 8,500rpm and 152 lb-ft of torque at 6,300rpm. The gearbox is a 6-speed manual unit. 0-60mph will take under 4 seconds. It weighs about 600kg. The body is carbon fibre and was designed and constructed by the F1 division using CFD, wind tunnel testing and track time. The AeroSeven's look is a product of function, rather than aesthetics. It's not exactly the most beautiful of sports cars. One can't help thinking it just looks like a Seven with some panels strapped on. The front is cloaked in bodywork whilst the rear is largely Seven-shaped with some bodywork over the top. 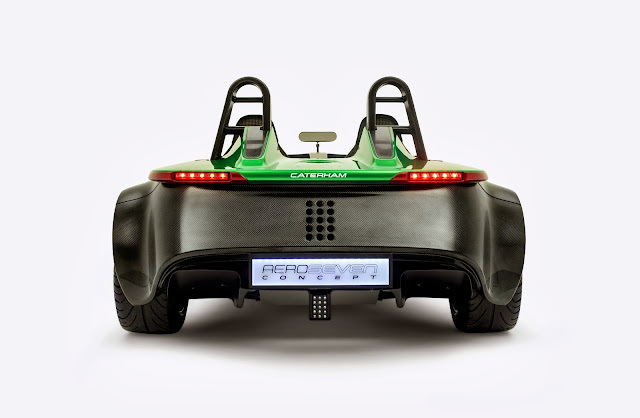 This is the first Caterham to feature traction control. It also gets launch control, F1-style inboard suspension and an engine management system with race and road functions. This is just a concept but it will make it to market, albeit maybe with a different engine, in 2014. 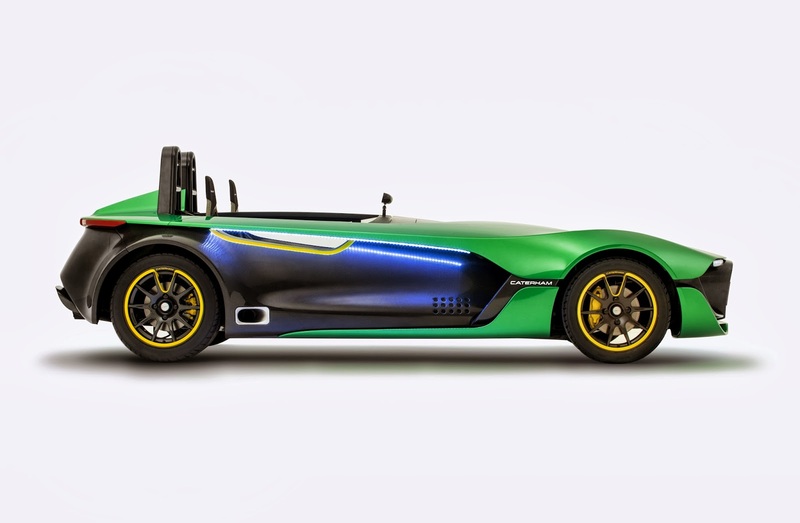 Caterham has launched a few models recently - all variations on the Seven theme. 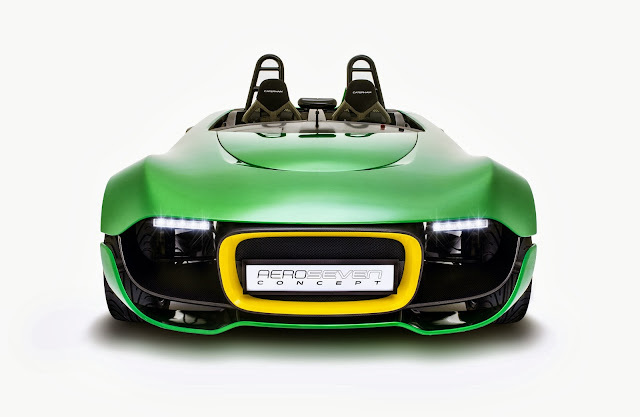 They have plans for more, including the de-rigueur SUV and the Alpine Caterham sports car that is expected in a few years. 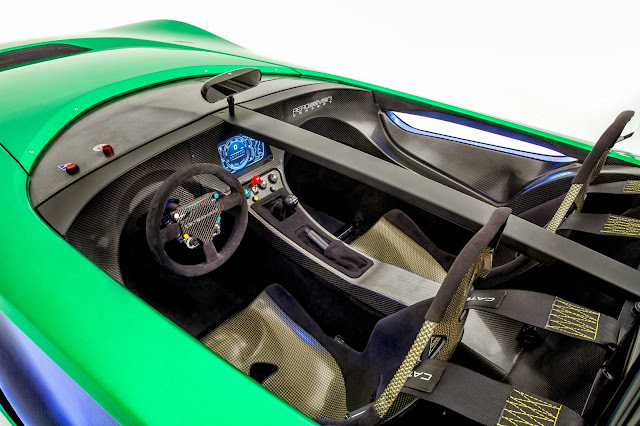 Caterham has the heritage, the know-how, the engineering facilities, the F1 team's input and the cash to turn itself into a decent car company. The AeroSeven is the real start of that journey. For the moment the only things it seems to lack are medium scale production facilities and someone to beautify the product.